Energy is Glow-worm’s newest ErP A rated system boiler. It comes with a great range of outputs which makes it suitable for almost every property type. Built in the UK at Glow-worm’s award winning factory in Belper, the Energy system boiler is a high quality boiler that’s designed to lower your running costs. Its high efficiency modulating Grundfos pump adapts to your actual heating and hot water demand, reducing your energy bills. The Energy system boiler’s size also makes it the perfect fit to install it virtually anywhere – including kitchen cupboards. It also comes with a rear flue giving you flexibility. 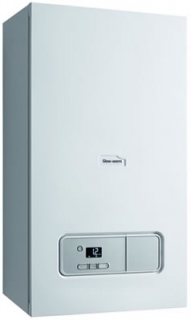 The Energy sealed system boiler range is suitable for homes with high hot water demands and can be installed with Glow-worm’s range of cylinders for hot water storage.